On our way again, this time on the northbound leg of our little roadtrip around the northwastern US of A. Highway 101 all the way up to the fleshpots north of Astoria for a meal out and overnight stay before moving on to Tacoma for a couple of evenings, thence back to BC via the Coho ferry. In the previous post, I made mention that the coastline of Southern Oregon is ‘pay-per-view’. 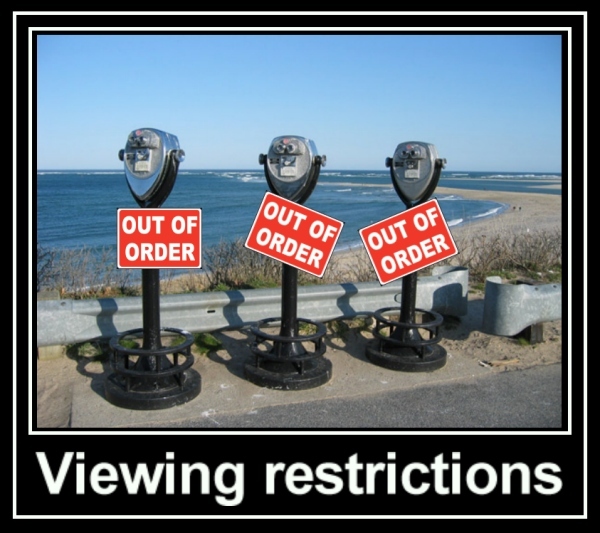 As far as accessing most of the beaches is concerned, this is true, as in order to stop, no matter how briefly, in one of the National Parks that line this side of the USA, you need to have purchased a pass. We hadn’t, and seeing as there was no ticket booth at the places we entered, we simply did a 180 and went off in search of ‘beach access’, which we eventually found. Unfortunately the north wind was blowing, whipping the dry sand up into miniature sandscapes up and down the kilometres of beach. This particular stretch of beach looked to be suffering the curse of septic tank runoff from a nearby resort and a sizeable stretch of holiday homes. Which rather took the shine off things. It was either that or hire a dune buggy or ATV, which Mrs S would not be allowed to ride because of her recent injury. So we moved on. Further north on the 101, there are more places to park to enjoy the huge expanses of yellow sand, the coastal highway squiggling more closely to the shoreline along mile after mile of almost deserted beach. Being a European trained driver, I was happily throwing our little SUV through tight corners which would not disgrace an English country A-road and wondering why there was no-one in my rear view mirror, even though I hadn’t been speeding (Honestly officer – I was being ever so good). Between Florence and Cannon Beach, Oregon (Well worth a stopover. Incredible beach. Try the Warren Inn for lunch) it’s a joy. Especially on such a sunny day as today. Great driving, good food, and the Universe totally failing to go ‘Foom’. The more northerly beaches are also great for kite flying, sunbathing or surfing. Although the wind needs to shift into the West to produce the best Pacific Breakers. One of the things I’ve also noticed in passing have been visiting political campaigners. No doubt organising support for next years Presidential Elections. No Republicans as yet, but the the ‘Obama Mama’s’ (I think that’s who they are) whose vehicles are graced with a metallic ‘O’ inside the rear window, and a ‘Clintonite’ sporting a Hilary Clinton bumper sticker have been in evidence. No doubt infiltrating local meetings with their forced letterbox smiles and promises. (Never trust someone who smiles ingratiatingly all the time – they’re up to something.) Their vehicles all being late model and fairly new looking. They’re also mostly black, the vehicles that is. Something I found a trifle sinister. Considering the mess the golf pro currently ensconced in the White House has made of things, the thought of another Democrat in the form of a Clinton in the hot seat must make the blood of many Americans (and anyone else on the planet – apart from the more rabid mullahs) run icy cold. I mean, come on; even Sarah Palin would be a better choice for the first woman president of the USA. That’s not an edifying prospect either. Never mind; as regards meals out, Mrs S and I had a minor culinary epiphany last night. We dined at a very nice seafood place where the fish was not encased in batter or smothered in cheese sauce. Instead of dessert, I voiced the desire for a Martini to round off what was a very pleasant repast. Mrs S concurred and we ordered two fairly dry fancy Martinis off the menu instead of the usual ‘death by chocolate’ so full of caloric energy it could power a Saturn 5 booster into orbit. Which turned out to be a good move. We walked back to our hotel with a lightness of step and sense of mild euphoria, rather than simply feeling weighed down and a little over indulged. Thus we have decided, in future, instead of dessert we’ll have Martinis instead. We’ll also forget wine with out meal, as that would rather be gilding the lily. Which has the dual effect of lowering the bill whilst at the same time making us look like a pair of visiting sophisticates (Snarf). Who knows? Perhaps we’ll start a trend. On the topic of what to eat here in the Northwestern USA. Coastal eateries do what they call ‘Steamer Clams’ which I think are nicer than Moules Mariniere, which I’m also quite partial to. Try them. If you’re not professionally allergic to seafood, they are a treat. The best places manage to clean these delicacies so thoroughly that there is no detectable sand in them, which can put a crimp in your seafood dining experience. Last item today; if you do one thing in your life. If you cannot gallop horses through the surf on a deserted Irish beach or run naked along a seemingly endless West Highland strand, screaming your ecstasy for the sheer exhilaration of being alive, hire an SUV and take a drive up and down Long Beach, Washington, USA. As Mrs S and I did this evening before sundown. Just look up how long it is. Go on. Do not under any circumstances take my word or anyone else’s for this. Twenty eight smegging miles. Okay, the beach speed limit is twenty five miles per hour (A beach with a speed limit, my life already), and bits of it are off limits during the Summer months but frankly I don’t care. You can drive further along Padre Island, Texas (One hundred and thirty miles) but it’s going to take a full construction crew with earth movers to eradicate the grin currently planted upon my face. What can I say, I’m easily pleased. Previous PostRoad trip, day four, hiatusNext PostStill here then? Never went anywhere near the I-10 and California. We were planning to see the big Sequoia groves, but didn’t find anywhere close we felt like staying in. Life’s too short for roach motels. At least you appear to have missed that bridge collapse further south. Wouldn’t want to be driving in California right now, anywhere near the I10.